Researchers have discovered the earliest-known use of nutmeg in food. 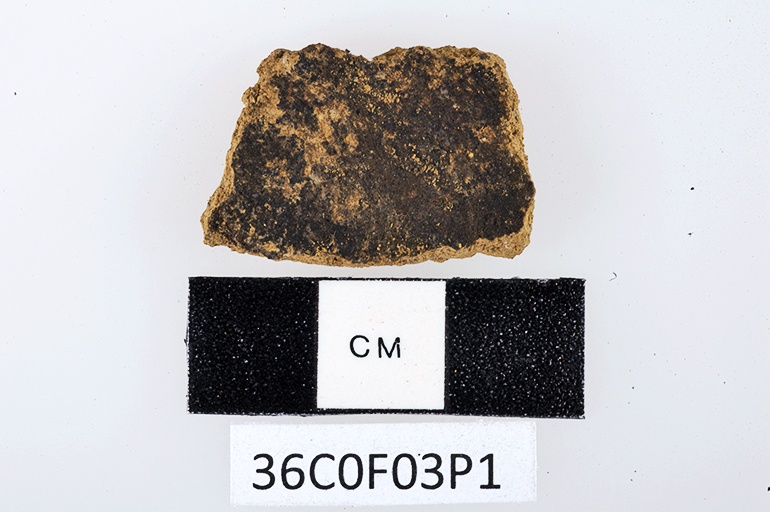 At an archaeological site on Pulau Ay, a small island in the Banda Islands, central Maluku, Indonesia, researchers found nutmeg residue on ceramic potsherds and estimate that it’s 3,500 years old—about 2,000 years older than the previously known use of the spice. People occupied the Pulau Ay archaeological site from 2,300 to 3,500 years ago, with animal bones, earthenware pottery, stone tools, and post molds of possible housing structures found. The variety of artifacts discovered provides evidence of changes in how people utilized marine food resources, pottery, and domestic animals over time. Over the first 500 years at the site, people shifted from a predominately fish-based diet to primarily eating domesticated pigs. In addition, pottery was initially thin-walled vessels people adapted for storage of liquids that may have allowed them to survive on this water-poor island. A few hundred years later, thicker-walled pottery better adapted for cooking appears along with pig bones. It was on the pottery where Lape’s coauthors Judith Field and Adelle Coster found not only the nutmeg, but also residue from six other plants including sago and purple yam. People could have collected these ingredients from wild plants, or possibly cultivated them through farming. By surveying additional archaeological sites, however, researchers suggest that people targeting its rich marine reef resources regularly visited the island for several thousand years before more permanent populations established themselves in the early Neolithic, the later part of the Stone Age. The most likely homeland for these visitors is the nearest large island of Seram, 100 kilometers to the east. People who possessed sufficient knowledge of Pulau Ay and the seafaring skills to make regular return trips there would seem to be likely candidates for the first Neolithic settlers as well. Studies of sites like this one can help illuminate the complex cultural processes at work during the Neolithic period, which saw the introduction of many new plants, animals, and technologies to the islands of Southeast Asia. The results from this site show that these changes did not happen all at once, but rather people gradually adopted and adapted them to utilize these tropical island seascapes in new ways. The find provides a new perspective on a key ingredient that is still a valuable commodity today—especially in a multi-billion dollar industry of fall-themed foods and beverages. The research appears in the journal Asian Perspectives. The residents and government officials of Pulau Ay and Banda Naira supported the fieldwork. 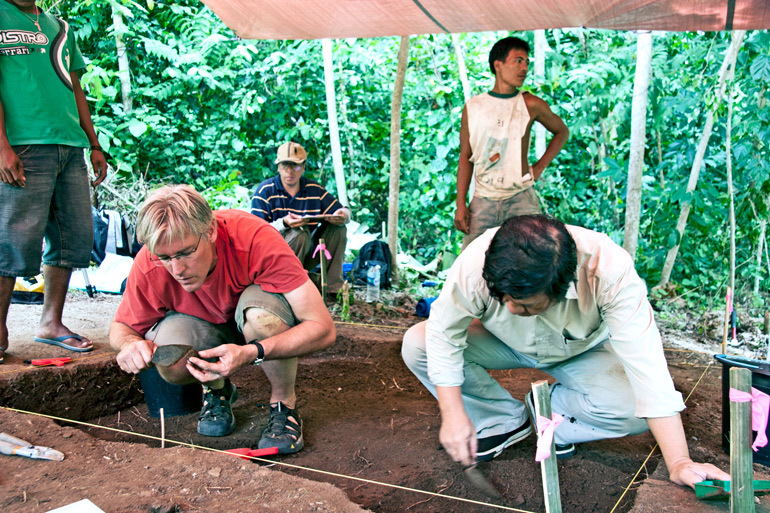 The National Geographic Society supported the 2007 fieldwork. Researchers conducted the fieldwork with permission from Lembaga Ilmu Pengetahuan Indonesia, as well as Maluku provincial and local governments. The fieldwork was a collaborative effort between the Universitas Gadjah Mada, the University of Washington and Balai Arkeologi Ambon. The 2009 fieldwork included the same partners working with support from the Henry Luce Foundation and permission from Kementarian Riset dan Teknologi. Additional researchers from Universitas Gadjah Mada in Indonesia, the University of New South Wales in Australia, and others contributed to the work.